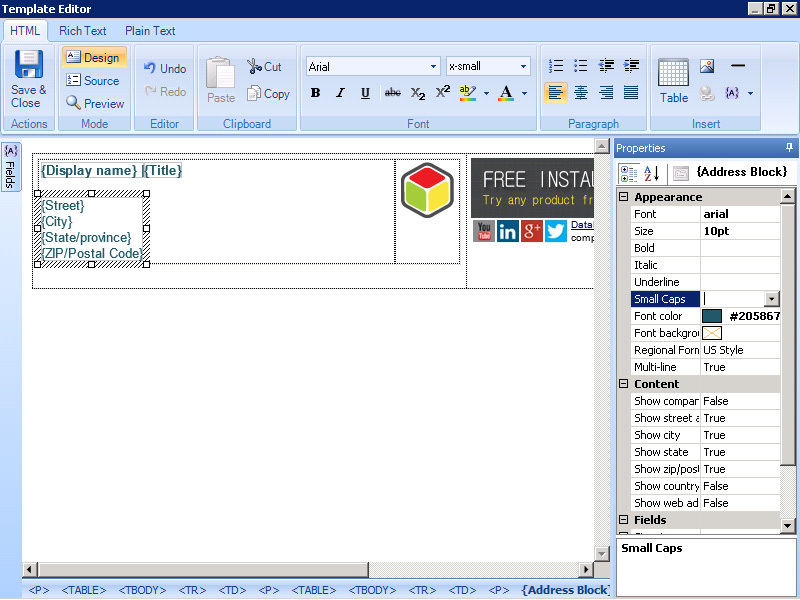 You create the exact designs you need using labels, images like your corporate logo and dynamic fields for things like name, job title and phone number that get automatically filled out for each user. 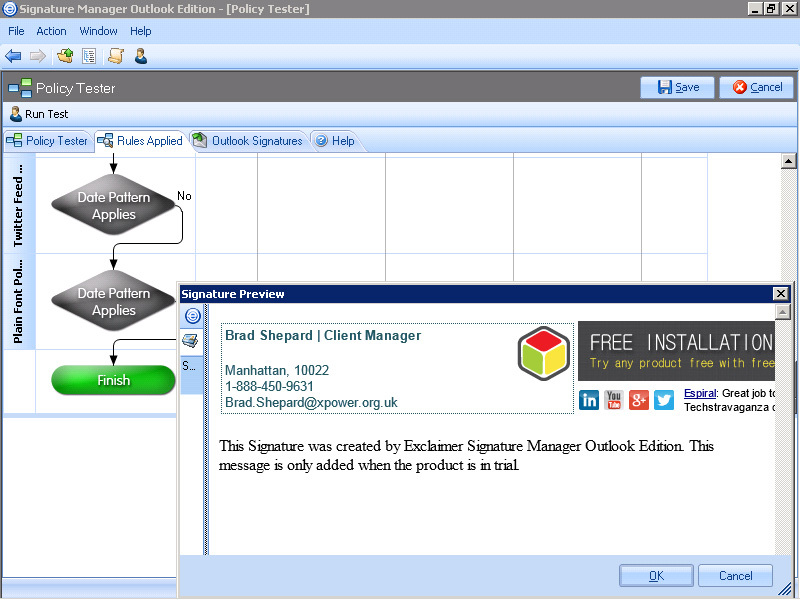 Signature Manager Outlook Edition also ships with an extensive library of designs to show you what’s possible. 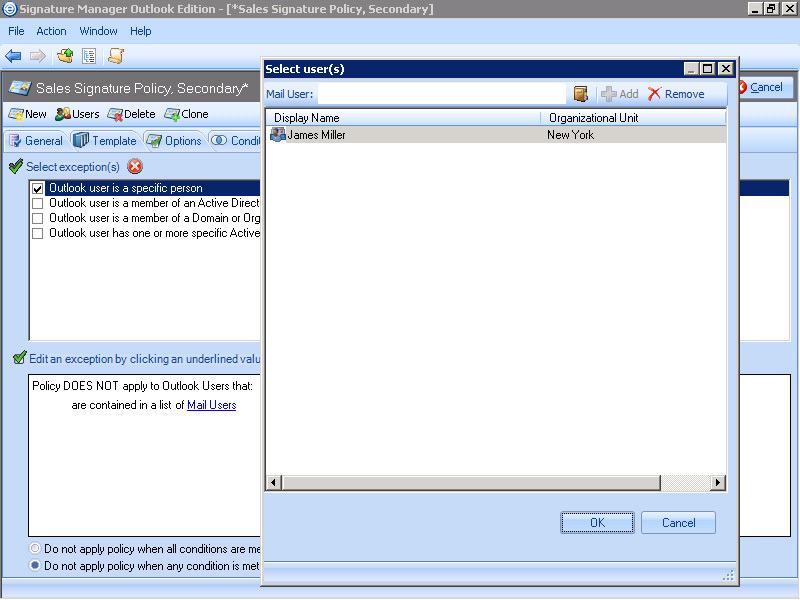 Create conditions and exceptions to include and exclude users based on their Active Directory attributes – give the whole HR team one signature, but the HR director another. Create different signatures for new messages and replies and give your sales team a set of signatures that meet your current promotional needs. 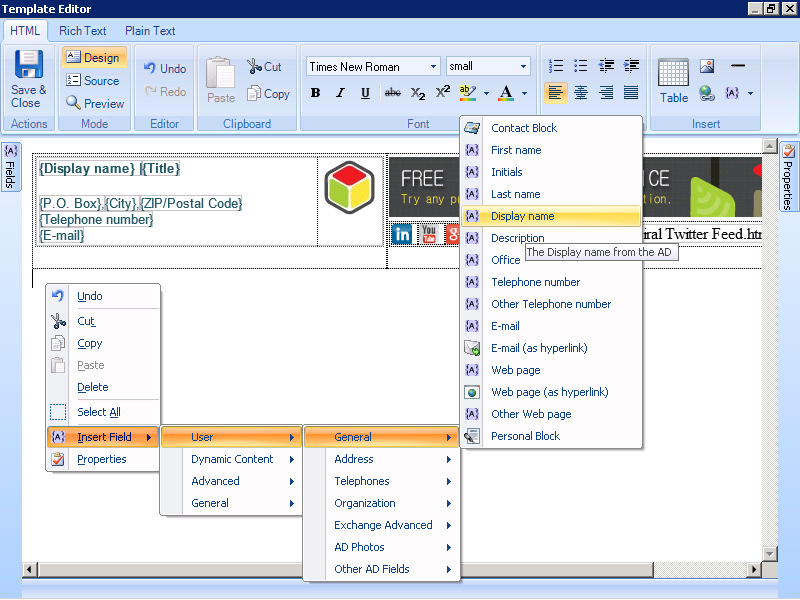 Fields like 'Full Name' and 'Job Title' are filled with the corresponding data from your Active Directory – and if the user has no data for that field, we can hide it automatically. To fill out fields and handle rules, we leverage the Active Directory - the same database you already trust to manage all your users, permissions, infrastructure, informational assets, etc. So you can be sure your signature is as reliable as the email it's on. 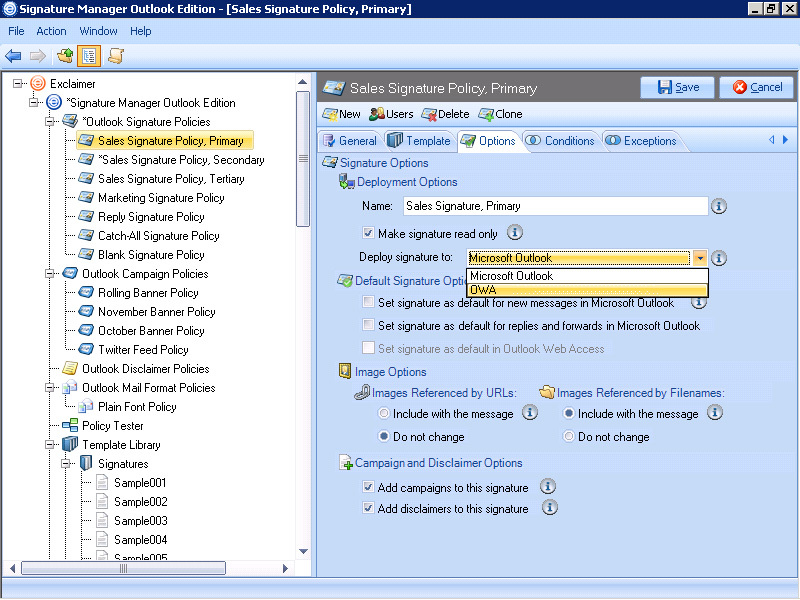 Signature Manager Outlook Edition can update your OWA signatures just the same way it works with all versions of Outlook. 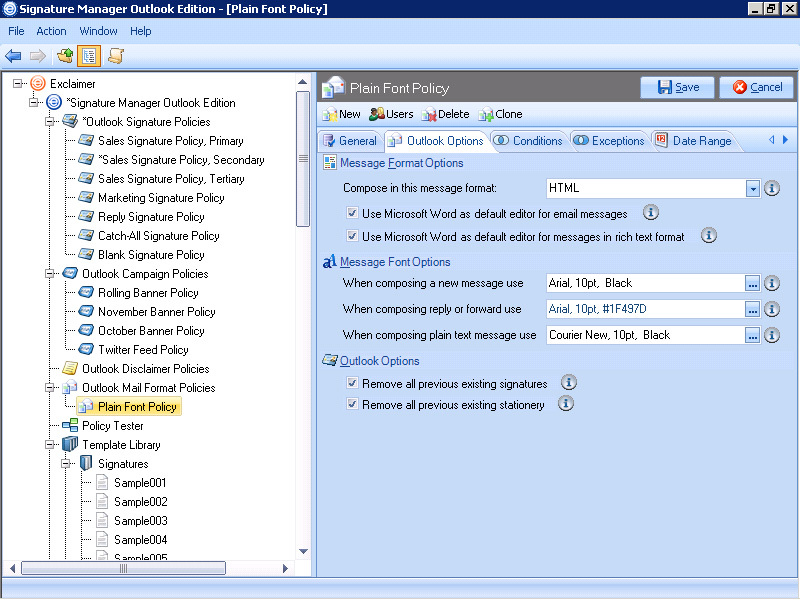 Easily create OWA policies specifically tailored to the needs of your OWA users. 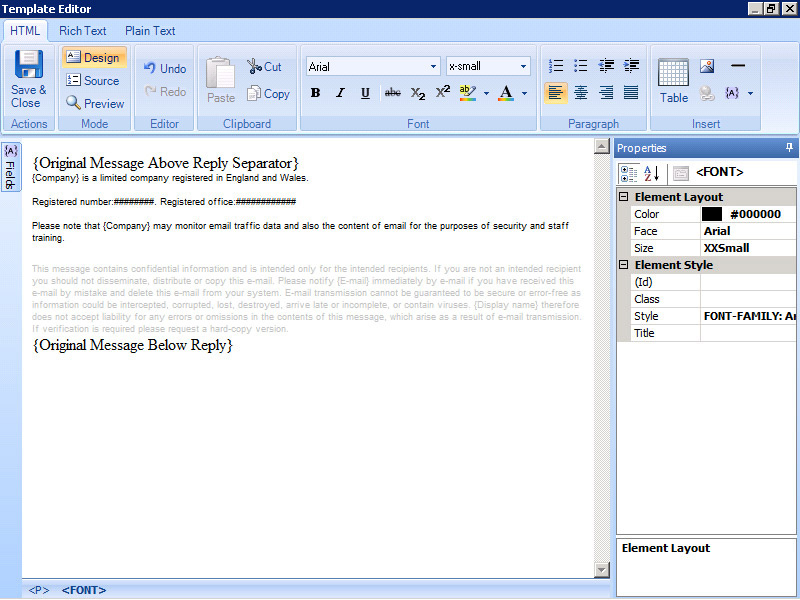 Choose to make all your outgoing emails HTML so they always look great. 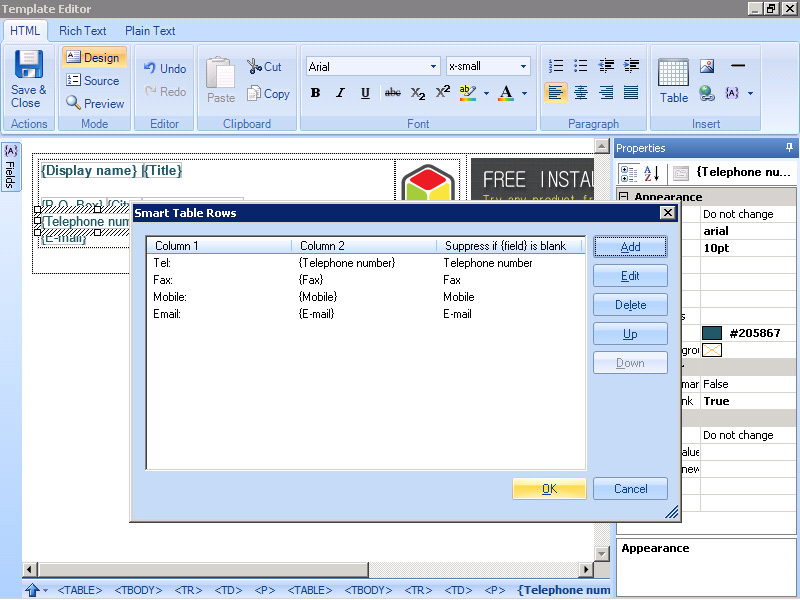 Get all your users using Word as an editor on legacy versions of Outlook so they benefit from features like spell checking. 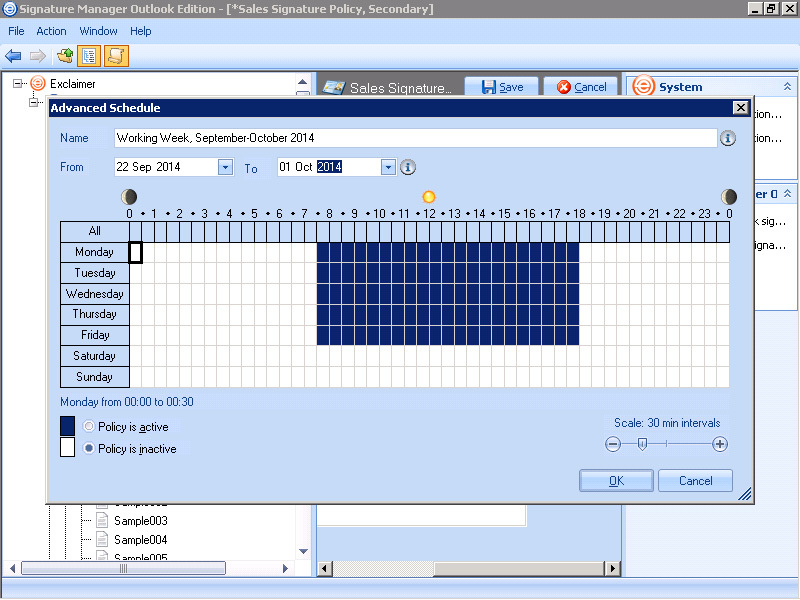 However many policies you create, you’ll want to check they work just how you imagined before you deploy. 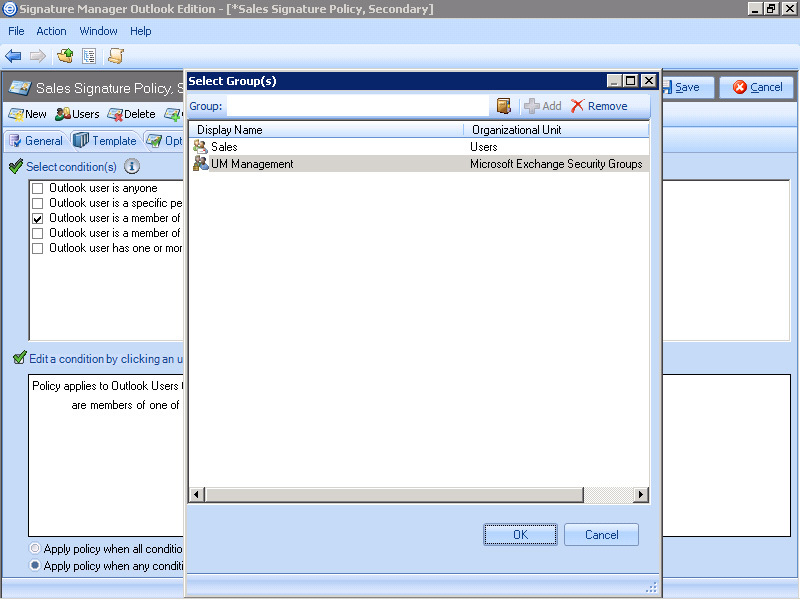 Our policy tester provides a graphical interface of who gets what signatures and why. Use date-based rules to add an image under your signature for a fixed period of time, maybe to coincide with a particular campaign or event, then automatically remove it or update it to reflect the next one. Comply with regulations or just protect your business against unwanted disclosures, agreements or lawsuits with a disclaimer under your signature.